9 Homemade Face Packs To Treat Open Pores Permanently! Have you ever stopped to adore your face in the mirror, when your smile and happiness suddenly drop upon seeing those tiny little nasty dots on your skin? Those are your pores. Pores are openings of hair follicles, and they are more prominently seen on your face. Each one contains a sebaceous gland that produces oil, and therefore, are more commonly seen in oilier areas of the skin, such as the forehead and nose. Why are these pores visible? The size and appearance of your pores depends on various factors, like genetics and your skin type. Damaged skin can cause cells to build up around the openings, increasing their appearance. Aging also plays a part, as the skins collagen and elastin production reduces. Oily skin types are more prone, since dirt and debris can get clogged in these pores easily, drastically increasing their visibility. Even makeup clogs these holes up and adds imperfections to your face. Why should I be concerned about open pores? Though they are so small, these pesky openings can lead to irritating skin problems like acne, pimples and blackheads. They act as a breeding site for dirt and debris, and result in numerous imperfections. 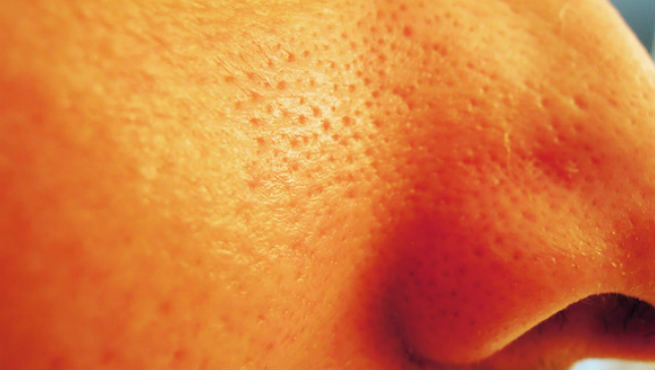 What can I do about my pores? Unfortunately, there are no lasting formulas and treatments that can rid you of these pores. However, there are a couple of quick, easy, and economical home remedial face packs that can reduce the appearance of them. Try them out and watch those pores shrink! Papaya contain enzymes that dissolve dry, dead skin cells, which help to unclog your pores. They also contain antimicrobial, anti-inflammatory and antioxidant properties, to keep your skin healthy and pure. 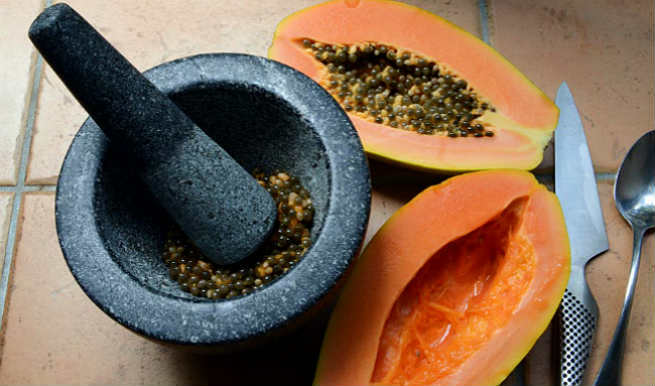 To prepare this mask, mash a papaya thoroughly and make it into a paste. Apply it over your face evenly, and after 30 minutes, wash it off with lukewarm water. It is a wonderful remedy that not only cleans and tightens the pores, but brings elasticity to the facial muscles and repairs skin texture. Be cautious, as some people might develop an allergic reaction to it. If you experience any irritation while wearing the mask, wash it off immediately. High in lactic acid, yogurt helps minimize open pores and reduce fine lines on face. Apply it in a thin layer and leave it for 15 minutes. Rinse it with normal water and pat dry with a face towel. Those combating oily skin can whisk egg whites into the yogurt before applying, for better results. If done twice a week, this method can effectively shrink very large pores. Make a paste by mixing two tablespoons of baking soda with a cup of warm water. This acts as a tonic in removing the dirt and oil on your face and reducing pores. Apply it to oily and problematic areas of your skin, such as the nose, chin, and forehead to remove the trapped dead cells and debris. Honey is a natural humectant, and works as an anti-irritant and anti-microbial agent. Lemon plays its role in shrinking pores, due to its astringent properties. To prepare this mask, mix 1 tablespoon of honey with ½ a tablespoon of fresh lemon juice. Add a pinch of sugar to the liquid base. Massage the mixture on your face, paying more attention to the skin around your nose and on your chin, where most of the enlarged pores tend to breed. Leave the preparation on for 5 minutes and rinse with lukewarm water. For those with dry skin, this gram flour and curd mask works wonders! Add 2 tablespoons of curd to 1 tablespoon of gram flour and apply it evenly on your face. After 15-20 minutes, rinse it off with cold water and dry the face with a smooth cloth. Use this pack twice a week in order to reduce the size of your pores. For oily skin types, here is a wonderful mask that can shrink even the largest of pores. 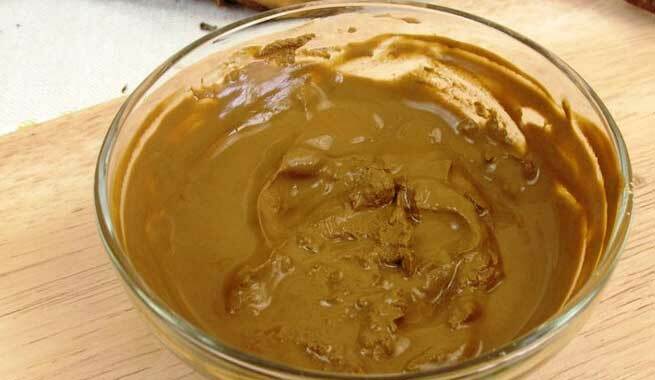 Mix an equal quantity of the above two ingredients and apply it on face in a thin layer until dry. Then rinse with warm water and pat dry. Try to use this face pack sparingly if you have dry skin. Apple cider vinegar is a natural astringent that tones your skin. Dilute it with water and apply it on your face with the help of a cotton swab. Leave it on for 20 minutes before rinsing it off. This face pack helps tighten your pores and keeps the pH balance of your skin intact. Moreover, the antimicrobial property of this vinegar helps in treating acne and other bacterial infections, keeping your skin healthy and blemish-free. This is another great way to shrink large pores and prevent/treat acne in those with oily skin. Mix 3 to 4 drops of tea tree oil in one cup of water to create a lotion. This can be poured into clean spray bottle and sprayed over your face twice a day as a toner. Alternatively, it can be applied using cotton. Make sure your face is clean and all make-up is removed before applying. This is a quick and easy remedy to reduce pore size. 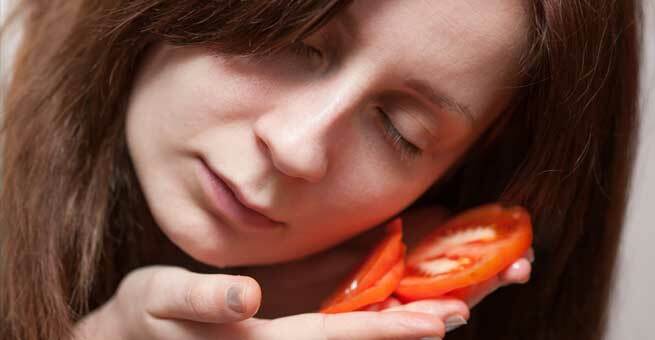 Tomato has astringent properties, that help eliminate extra oil and shrink the apparent size of even very large pores. Apply the tomato paste or juice on your face using smooth circular motions, then leave for 20 minutes and wash off with warm water. Also Read- How Castor Oil Should Be Used For Acne? How Can I Prevent Getting Large, Open Pores? Remember that the best way to avoid having large pores is to prevent them from appearing! Follow the points below to ensure that large pores stay away. Use a pore-minimizing cream containing retinoic acid and Vitamin A regularly. Carry some blotting papers with you in order to wipe off excess oil from face. 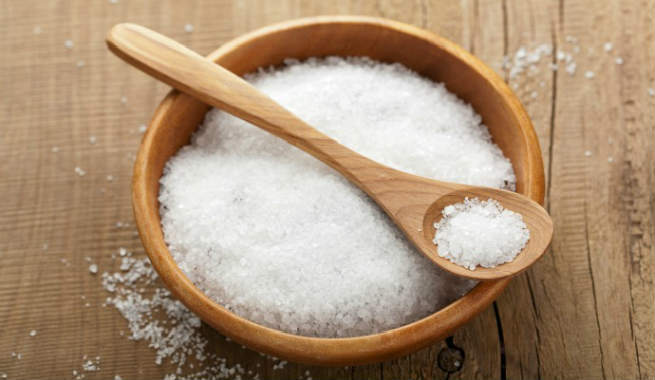 Scrub your face with sugar cubes to clean your skin and pores naturally. Avoid using astringents or toners that are more alcohol-based, as this will dry the skin and enlarge pores. Try using oil-free makeup products and lessen the usage of makeup on your face. Apply sunscreen to your face daily, to avoid UV damage. Clean your face and remove all makeup regularly, especially before applying the face masks. Consistency is key, so get started today using the suggested tips and follow them regularly for a perfect, healthy, glowing face.